This website belongs to the residents of Ings, a small rural community living either side of the main road (A591) between Staveley and Windermere in the Lake District in Cumbria, in the North West of England. 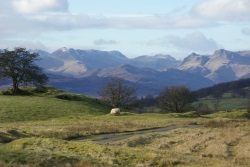 Like many Lakeland 'villages', the residents are dispersed amongst grazing farmland and woods in scattered farms, cottages and some larger houses, of which several are former farm buildings. Many pass through the village on their journeys to and from the Lake District, unaware of our thriving community. Spare a thought for us by driving slowly; you will also avoid falling foul of that speed camera! Better still, stop and enjoy the hospitality that awaits. Ings has several excellent places to stay. It boasts an award winning pub, a delightful new cafe, a state-of-the-art bike-store, and a filling station with shop. There are two well-hidden static caravan parks. The Village Hall and Church are home to weekly ‘activities’ to suit all tastes: whist and dominoes; a lecture club; exercise and art classes, and a regular Sunday 11am service. The newly refurbished Church (under-floor heating and comfortable seats) hosts frequent concerts. A highlight of the year is the annual Ings Village Fayre held in late June. 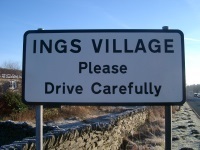 Ings Village has about 100 properties, several of which are second homes or holiday cottages. Nonetheless there is a full-time resident population of around 150. There are some 6 farms mostly grazing sheep and some cattle which, along with tourism, is Ings’ only visible industry. But behind the scenes, a number of artists are hard at work. 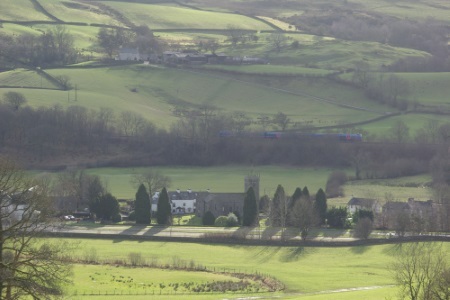 Super-fast fibre-optic broadband enables a number of residents to do some or all of their work from home, and the A591 provides an easy commute to Windermere or Kendal and beyond. Indeed, Ings is only a few minutes away from supermarkets, shops, doctors, schools, and many high quality tourist and cultural attractions. The bus service is exemplary. Even in winter, there is an hourly service all day long either North to Windermere, Ambleside, Grasmere and Keswick, or South to Kendal and Lancaster. The surrounding landscape is exquisite such that Ings is an ideal base for walking and cycling. The River Gowan meanders through the village and is home to herons, dippers and the native white-clawed crayfish. You’ll see buzzards and kestrels and on occasion a red kite or a red squirrel. Signposted paths abound. To the South you can reach School Knott and its tarn which provides a glorious vista to Lake Windermere and the fells beyond. Here you can join the Dales Way. To the North side of the valley, you can climb Reston Scar, or walk over to Kentmere or Troutbeck and beyond. The choice of routes will enchant!